Noise exposure is one of the leading causes of hearing loss in adults and, now, teenagers. Sudden or consistent exposure to noise can permanently damage hearing, accompanied by other effects such as ringing in the ears. Hearing loss from noise exposure is often detected after the damage is already done, but there are solutions to help preserve your hearing. Consistently using hearing protection is a proactive way to keep your hearing healthy in your occupation or while enjoying your hobbies. Foam earplugs purchased at your local store offer some protection, but custom earplugs made to the exact shape and size of your ear offer maximum noise protection with more comfort and better wear-and-tear. A custom plug offers more consistent protection for your hearing, because it fits your ear the exact same way, every single time. The comfort of the earplugs makes them easy to wear them for long periods of time, and optional cords help keep them around your neck instead of getting lost. 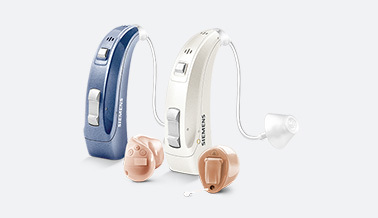 This gives you peace of mind that your hearing is well protected so you can focus on enjoying your activity. An earmold is the finished product of a cast taken of your ear. Earmolds come in a variety of materials, styles and colors. Some earmolds are made from acrylic and are hard, while others are made of silicone or vinyl and are soft. Earmolds can be made to fit the bowl of your ear in different ways that provide for varying levels of sound protection. Talk with Dr. Chad and Dr. Pastore to determine what type of earmold will best suit your listening needs. Filtered earmolds are available, which allow you to communicate or hear nuances of your environment while still protecting your hearing. These types of earmolds are particularly useful for musicians and sportsmen. Specialty earmolds can also be made for use with your MP3 player, cell phone earbuds, Bluetooth headsets, and other specialty uses, including pilot and medical professionals’ headsets and swim earplugs. Cape Cod Hearing Services can meet for your individual needs for custom hearing protection that is both comfortable and functional. If you work in a high-noise environment, plan on regular hearing evaluations to monitor your hearing and the quality of noise protection you have in place. Please contact our office with any additional questions or to set up an appointment for your custom earmolds.